As Sen. Kamala Harris (D-CA) prepares to challenge President Donald Trump in 2020, she frequently touts her record as a "progressive prosecutor" during her time as San Francisco District Attorney. Her base – and even CNN – are calling that label into question. 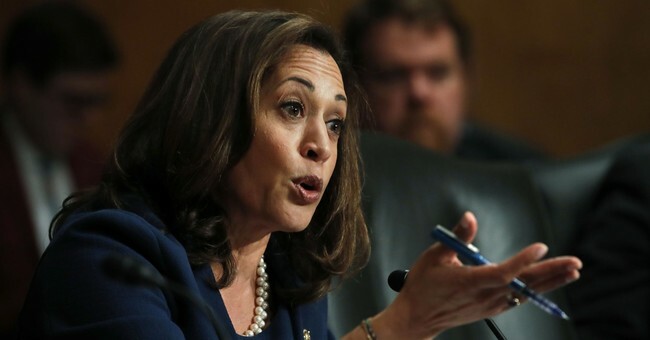 It's been recently discovered that Harris supported a San Francisco policy that required law enforcement agencies to turn over illegal alien minors to federal officials if they were arrested and suspected of committing a felony. It didn't matter if the minor was convicted or not. What's interesting is Harris worked with then-Mayor Gavin Newsom to establish San Francisco's sanctuary city policy. City officials were split on the issue. Newsom's office supported the sanctuary city declaration while the Board of Supervisors opposed it. And we know who eventually won that fight. Harris' campaign is doing everything in their power to put out this public relations nightmare. Campaign spokesman Ian Sams told CNN the sanctuary city "policy was intended to protect the sanctuary status of San Francisco and to ensure local police, who needed to have strong relationships with the communities they serve regardless of immigration status, were not forced to operate as immigration agents, which is the responsibility of the federal government. Looking back, this policy could have been applied more fairly." But this isn't the only area where Harris' "progressive prosecutor" status is being challenged. The New York Times called the Senator out for her political pandering and trying "to be all things to all constituencies." In a dozen years as the top law enforcement official of the city and then the state, Ms. Harris was as much politician as prosecutor, appearing to try to be all things to all constituencies. More practical than ideological, she was defined most by resisting easy definition. For the most part though, Harris didn't do anything riveting. She sat on the sidelines because she was afraid of making any kind of bold decisions. She knew she wanted to seek higher office. She knew she wanted to go beyond local and state politics. And because she had her eye on the prize, she did just enough to keep various constituencies happy. Years before ending mass incarceration became a bipartisan cause, she started programs to steer low-level drug offenders away from prison and into school and jobs. At the same time, she touted her success in increasing conviction rates, and as attorney general remained largely on the sidelines as California scrambled to meet a federal court order to reduce its swollen prison populations. She also repeatedly sided with prosecutors accused of misconduct, challenging judges who ruled against them. And while she summoned righteous anger toward the bank fraud that helped set off the Great Recession, holding out for more money for California homeowners in the National Mortgage Settlement, she said little when the governor diverted some of it to fill holes in his budget. She has also had to navigate the shifting politics of crime and race — and the expectations they bring with them. By playing both sides of the coin, Harris alienated more potential voters than she garnered. And that, in itself, is a win for Republicans (assuming they remind voters of Harris' record).